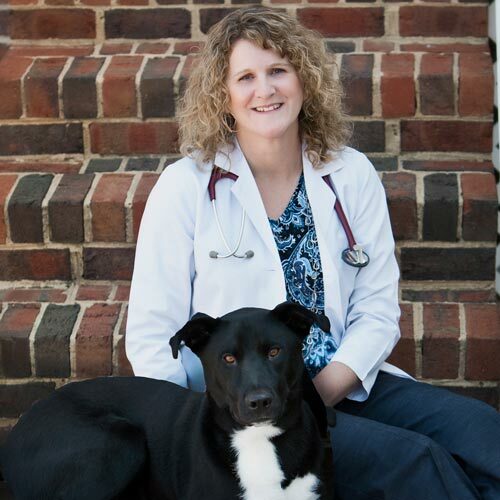 Our owner, Dr. Shaylene Snyder, founded Hemlock Bluffs Animal Hospital in January of 2000 after working for many years in the Triangle area obtaining experience in internal medicine, dentistry, surgery and emergency care. She grew up in the mountains of North Carolina in a small town called Hendersonville. She enjoyed growing up on a farm and learned the value of hard work from her parents. She worked all through high school at WNC Veterinary Clinic in Asheville and in her spare time volunteered at the WNC Wildlife Rehabilitation Center and SPCA. She moved to Raleigh in 1991 to attend NC State University where she majored in Animal Science and Veterinary Medicine. Dr. Snyder holds special interests in laser surgery, allergies, dermatology and geriatric medicine. She holds advanced training certification in both laser surgical techniques and restorative dental procedures. She and her husband have lived in the Triangle area for over 20 years and have a teenage daughter, Taylor, who is their pride and joy. In her spare time, Dr. Snyder enjoys horseback riding and camping with her family. She loves that Hemlock Bluffs is truly a family business, and loves that Taylor has already joined the Hemlock team during her summers off of school helping to keep the boarding pets happy and healthy.